This residential neighborhood located north of Old Town and The Gold Coast is named after the park bordering Lake Michigan and North Avenue Beach. The park, in turn, is named after the 16th president of the United States, Abraham Lincoln. 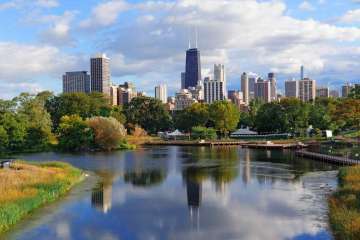 This district hosts some of the City’s proudest establishments like Lincoln Park Zoo, one of the few free admission Zoos in the United States and also one of the oldest. The original Ferris Wheel was actually built in Lincoln Park and was located somewhere around Wrightwood Ave and Clark Street. This once grassy Green Bay Trail north of the city border is now one of the wealthiest and most expensive communities to live in with a median sales price of $1,600,000 rolling 12 month average (Lincoln Park Real Estate Detached January 2016 Data Source: MRED LLC).